It is that time of the year when we search for the best pioneers and innovative minds in India. TEDxIIMKashipur is back with even greater zeal and anticipation among the audience. With 9 speakers from diverse fields ranging from science and technology, adventure sports, entertainment, entrepreneurship, mind stimulation to design specialisation coming to share their views and experiences with the audience, the energy levels of the organisers cannot be expressed in words. The atmosphere here at IIM Kashipur is electrifying; one can only realise the efforts put up by the students by watching them work day and night to make this event successful despite their hectic schedule. 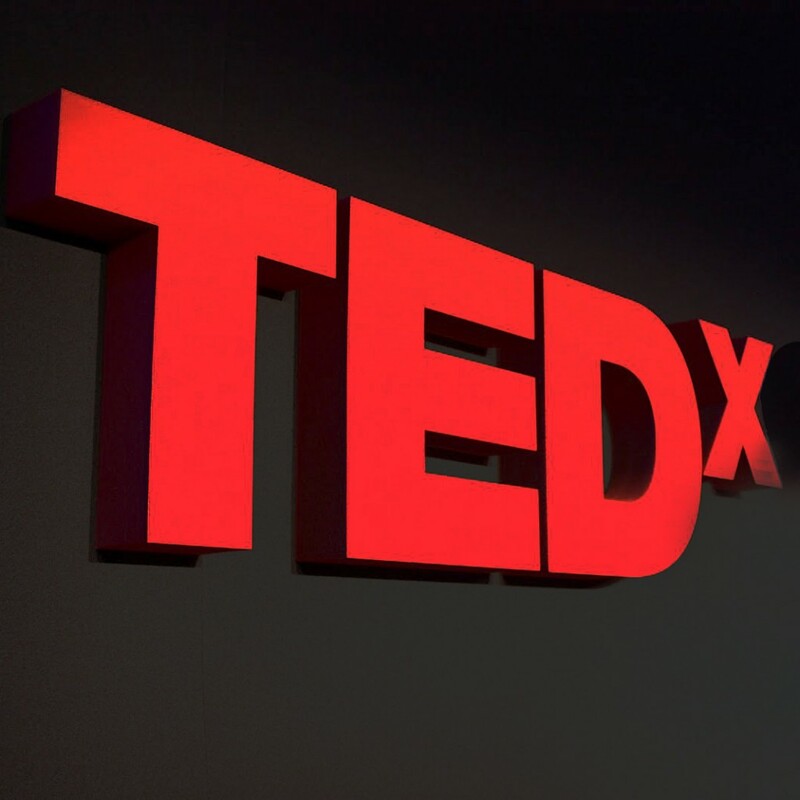 That psychological wall between a junior and a senior, a Finance enthusiast and a Marketing enthusiast, a fresher and an industry veteran – all have long dissolved in this passion we share, the passion which we call TEDxIIMKashipur. We work shoulder-to-shoulder tirelessly, dissecting each and every idea, deciding on the theme of the event, designing the logo of one of the flagship events of IIM Kashipur, making Polystyrene cut-outs for the stage preparation and much more. Well, as they say, a smooth sea never made a skilled sailor. Likewise, our journey has not been a calm and comfortable one either – let it be the last minute changes of the event logo due to a minor technical problem or non-availability of a particular flight for the speaker or getting the bills cleared for the various expenses in-time or negotiating with our trustworthy suppliers to deliver TEDx t-shirts within the short span of time, we have had our part of hardships, and that too a few in the midst of our exams. Yet, as a father passionately receives his new-born, similarly we also wait eagerly to unfurl the event, an idea that was conceived exactly one year ago, on a cold evening in the November of 2014. The world around us is changing at an exponential rate and the leaders who are making this possible are the ones who are courageously following their passion by travelling the path less travelled. TEDxIIMKashipur is preparing the stage for a selected few of these pioneers who chose to challenge the status quo. As De Bono said- “The world is more malleable than you think and it’s waiting for to hammer it into shape“. The event is set to strike oil on 7th November, and the TEDxIIMKashipur community is all ears to listen to and imbibe the inspiration and drive of the speakers. The following saying is probably perfect to explain all the anxiety – Attitudes are contagious, just make yours worth catching. Our fingers are crossed and we are holding our breath to catch this infection. 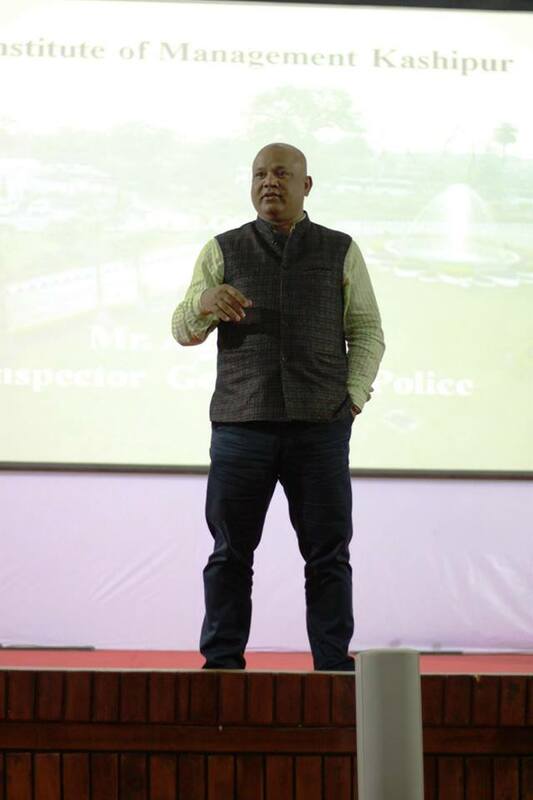 Inspector General of Police Mr Amit Kumar Sinha visited IIM Kashipur and interacted with the students. He shared his valuable experiences and also advised students to “minimize the time in calculating the risk” and said that is what which differentiates an achiever and a loser. In a twisted turn of events lately consultants hired to help promoters start of projects they recommend are the ones who after doing the project report, corporate advisory and also conducting the forensic audit are called back when the project goes bad. The RBI is taking this incident quite seriously as well where in the governor did not mince words in downplaying the appalling state of unrest between the big consultancy firms and private and public sector banks. In a strong contention we see that the governor did not spare the banks “Today, too many of our project decisions are made by banks listening to the same set of consultants, which means that too few independent views get embedded in the evaluation decision,” Rajan said. The banks are set to get no respite as some of the loans restructured by them are set to fail and become non-performing assets (NPAs) in the current year. A glimpse of the current scenario with regards to borrowers and assets in bad debt is given below the information is collected from Indian Express. Out of around 530 borrower accounts with restructured loans of Rs 4,03,004 crore cases approved by banks, 178 cases involving Rs 67,667 crore have already failed and another 20 per cent is on the verge collapse in the current year, said an official involved with the CDR Cell of banks. Banks are now handling 269 live cases involving a debt of Rs 2, 74,026 crore. The CDR process, including the status report, of almost all of them are handled by consultants. Bankers indicate that another Rs 55,000 crore is set to fail in the coming months and eventually become NPAs in the books of banks. The biggest case involves a telecom services company with a debt of around Rs 15,000 crore. The hits just keep on coming for the capital stressed banks as the RBI has closed the CDR window the banks who want to revamp the loans will have to give a 15 % higher provision. The borrowers have approached the banks hoping the 5/25 scheme, Joint Leader Form, Strategic Debt Restructuring. Banks have already implemented SDR in some cases and acquired majority stake in companies like Jyothi Structures and Visa Steel.